Do you work in multiple studios on a regular basis? If so, you need a rock-solid, highly portable reference monitor that will tell your the honest truth, no matter where you are. 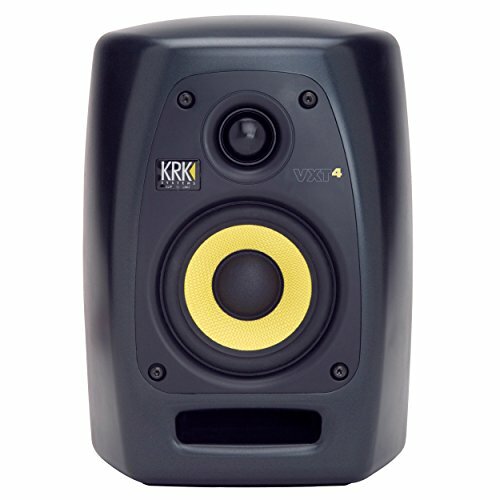 Amazingly accurate and super-portable, the KRK VXT4 active studio monitor is ideal for the professional on the go. Weighing a featherweight 14 pounds apiece, a duo of VXT4s is a must have for multicity projects, or as main monitors in a small control room. Combined them with a KRK10S subwoofer, and you get full-frequency monitoring with huge dynamic range.